Product prices and availability are accurate as of 2019-04-24 23:13:27 EDT and are subject to change. Any price and availability information displayed on http://www.amazon.com/ at the time of purchase will apply to the purchase of this product. 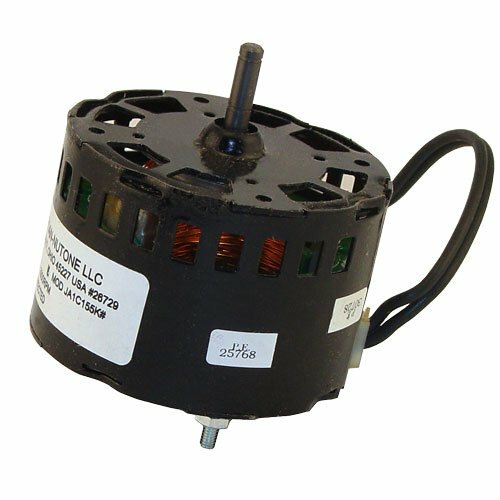 Brand new broan-nutone motor stock number 26729. replacement for model JA1M046 specifications: single speed ccw rotation viewing shaft end 120 volt 3000 rpm's 0.80 amps 3-1/3" diameter motor.